'Bright Star' runs through April 28 at Lyric in the Plaza. In addition to his skills as a performer, Clark Beckham has a warm, intimate style that is easy to experience. For one more weekend, the regional premiere of 'Girlfriend' is playing at Lyric in the Plaza. 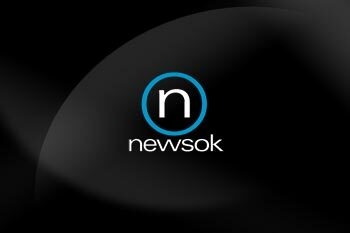 The Down Syndrome Association of Central Oklahoma will kick off a 'Knock Your Socks Off' awareness campaign on March 21. You can only store so many phone numbers, children’s birthdays and dental appointments. Summer job can be of your own making It's not too late. Now is the opportune time for youngsters to initiate a summer job search. Let me take this opportunity to advocate for my idea of a "make-it-yourself" seasonal employment adventure. First, start with a problem that is in search of a solution. To my way of thinking, that is the precipitous decline of the population of a central Oklahoma songbird called the loggerhead shrike. ("Butcher bird" is another name for this species, owing to its fondness for catching small snakes and tearing them into edible bites.) Second, you'll need some money. A "GoFundMe" plea on the World Wide Web ought to do the trick. My grandson James just turned 1. He speaks three languages and is mastering quantum physics. Or maybe it just seems that way. But he is a smart kid. Just look at how he bumps into things. James stayed with us recently and enjoyed walking behind a push toy at a crazy fast pace. Granted, James can’t walk just yet, but with the push toy, he could tear down the hallway at breakneck speed. Except when he ran into things. I resisted the urge to help him around the obstacles that impeded his progress. I wanted to see if he persisted in figuring a way around. Eventually he did. Even though he got frustrated and sometimes squawked about it, he persisted. Watching James, I remembered the book "Option B" by Sheryl Sandberg. Cold weather makes it possible to see some otherwise-hidden birds. Lyric’s Theatre for Young Audiences has produced a fun and lively show for young children. You can have the superpower of invisibility This is no jest. I am as serious as all get out as I lay claim to the fact that I can grant you the superpower of invisibility. Let's get started. Rummage through your clothes closet until you find those outdoor duds that are colored in Earth's pastels. Don these quasi-camouflage items and head out to the garage. Do a thorough search of your tool chest. I'd venture to guess that almost every home has at least one box knife, maybe even a couple. They're nothing more than a handle that is equipped with a razor-sharp blade. Cabbage onto that simple cutting tool because you'll need it for this feat of magic. Now, go to your favorite nature area. When I was young and working on a project with my father, I often would become impatient with his attention to detail. Even parts of the project that nobody would see had to be done right. This took too much time for me. Exasperated, I once blurted out, “Dad, why do you do that? No one will ever know!” To which my father calmly replied, “Because I’ll know.” Dad was teaching me to be a person of excellence. To pay attention to detail. To do your work better than expected. In all things, big and small, to perform with excellence. I wish I saw more of that. My wife recently was in the hospital, and although she received good care, they didn’t perform with excellence. Native prairie grass can be a fun garden project What is the definition of an optimist? One example would be that person who plants a tree while knowing full well it will be the children two generations removed who will enjoy the shade. What is it that you are saying? Your druthers are to not wait that long, you say? That being the case, I'd encourage you to buy a packet of native prairie grass seeds. Garden center stores hereabout most always have Little Bluestem prairie grass seeds available for purchase. My experience has been that it does well as a container plant. Just be sure to afford it a plant pot that is large enough to accommodate the bountiful root system. It’s true we sometimes must act better than we feel, and be kind toward those we don’t like. But expressing affection by mandate is not love. Why is it necessary for us to lay down when we want to fall asleep? Wild birds don't do that. Instead, they seem to balance precariously on tree branches when they choose to close their eyes for the night. Why don't they fall out of the trees? This column is about coots ... those plump, black-colored water birds that have a prominent, white-colored bill.